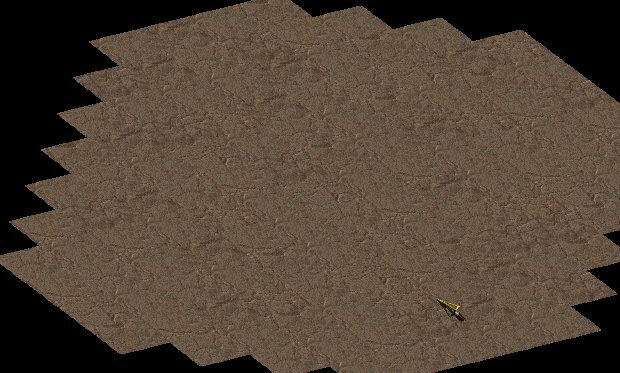 A few people have asked for a tutorial on the basics of mapping, so here it is..
First you need a floor for your map. You can do this one of 2 ways.. by hand, or by using the patterns included with the editor. 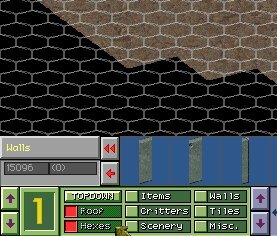 To do it by hand, you just scroll through the tiles selector at the bottom of the screen and chose the tiles you want, right click on the one you want to stamp down, then left click on the map area where you want to place it. 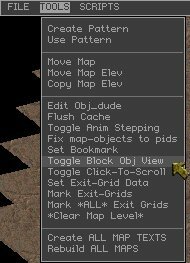 To use the patterns ( most of which are desert of some kind ), you simply have to go to the tools menu, and select "use pattern". Select the pattern you want to use from the window that pops up. Then just click away all over that black screen that is your map. When you are done stamping the pattern down, right click to exit the pattern mode. To speed things up a bit, you can make a large area, then copy it using the copy button on the tool bar at the bottom. 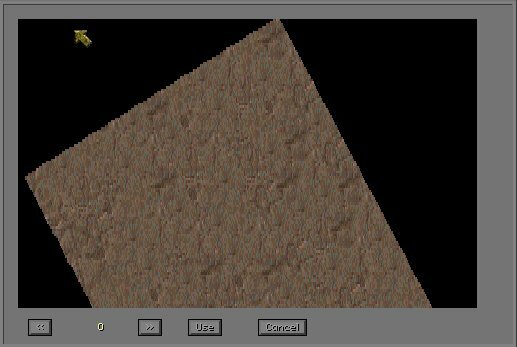 Once you have a basic floor to your map, you need to put down the "footprint" of all your buildings and things such as roads.. there are no patterns for this so you'll just have to do it by hand. 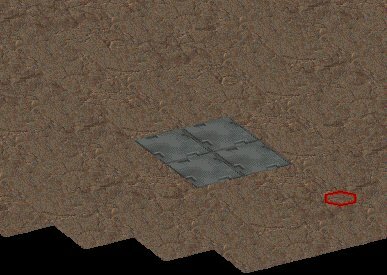 I recommend using tiles that make a "grid" for the footprint to your buildings. You can change it later but it helps with placing the walls. Next you need to place the walls, so set the selector to walls, and find the look you are going for. NOTE! 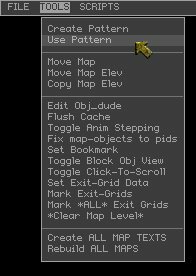 some wall sections are spread all over the selector bar, this was because sections of wall were added as they became needed by the original mappers, so you might have to hunt for that corner you want. 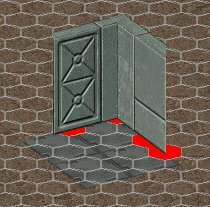 You should ideally place your walls on the "grid" if you intend to include roofs to your buildings..
Because of the way the some wall pieces are made, they leave "holes" that the player can walk through. Corners are especially prone to this. Turn on the hex grid. You will see that the walls have red hexes below them. These are areas the player cannot go ( in simple terms.. ). Where the wall has no red hex below them is where the "hole" is. You need to plug these "holes" with a wall blocker, found in the walls selector, tile number 620 and 621. They are named "wall" and "wall s.t" respectively, and are a solid wall, and a wall that can be shot through. ( hence the s.t. ). 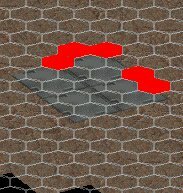 They are placed just like normal walls, but they do not show up on the map normally, they just make the hex red. To be able to see them, you need to turn "Toggle Block Obj View" on in the Tools menu. 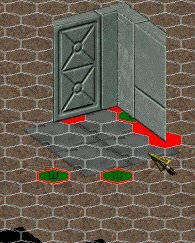 This ends the Basics tutorial on Floors and Walls. Comming soon.. Basics of scenery..